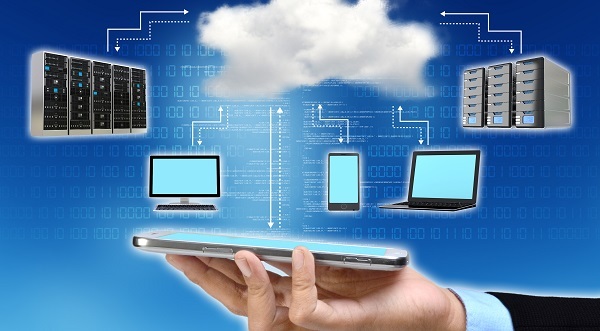 Switching to cloud-based computing service is a progressive move for any business. It is a shortcut to fast tracking activities that will improve online presence of any company. It is no longer news that one way to increase your business and improve revenue is to boost SEO ranking of the company's website. By taking care of a number of secret elements, improved SEO ranking can make a huge difference in the success and health of your business. Loading speed is one of the factors in the Onsite SEO checklist that determines how a website ranks. This is one if the criteria used by search engines like Google, Yahoo, and Bing. Cloud hosting services significantly improves loading speed, thus, increases the chances of a website for better ranking. But that is not the only way cloud service hosting impact a website's SEO. How Else Does Cloud Hosting Service Improves Website's SEO? One of the factors to consider in choosing the best web hosting service to employ is the loading speed. The faster the website's loading speed, the better it is for both the business and the web visitors. Asides comfort, increased page loading speed has a huge positive effect on your website's SEO rank. One of the most common search engines - Google, uses some analytical metric to select the site to feature first when a particular keyword is searched for. One of this analytical metrics is the User Experience rating (UX). Thus, the higher your website's UX rating, the better experience visitors will likely have and the higher your chance of being ranked high with Google. And a major determinant of a strong UX rating is the page loading speed. With a cloud hosting service, the speed of your webpage will definitely increase. With an effective distribution of online resources, cloud hosted sites are more nibble. Although, a number of tricks exist that could improve your site's SEO ranking, few can be as effective as switching to an online cloud based solution. One major factor that also influences an SEO's ranking is the host location. Most search engines prefer sites that ate locally hosted. In other words, an internet user living in Europe and searching for a site on Google will get web results with .eu. ranked higher than .com. or any other version. This has driven many traditional web owners to buy or rent servers in the various desired target markets. It is also one of the tricks small SEO companies are using to develop affordable seo packages for their clients. With a cloud hosting service however, this is not necessary. Cloud platform has servers in almost all parts of the globe. Thus, cloud-hosted sites do not have geo-located footprints. This means that even with your .com, .us, .au sites all hosted on the cloud, it will serve the appropriate location, automatically. With a top cloud-hosting service, protection against bots is guaranteed. Bots or malicious automated scripts are activities that can have negative influence on your site. This will automatically affect the SEO ranking negatively as well. Online industries are very protective of such security threats. It's rather unfortunate that just a handful of people are aware of how bots work and the kind of havoc they are capable of wrecking. Being a short form for robot, they are applications that command and attack the search engine. An example is the scraping bots. They can negatively impact the SEO ranking and are responsible for duplicating contents which should be avoided. With a cloud hosting server however, your site is protected against such bots. Another challenge most web owners face is link spamming bots. A number of people usually employ the service of ip booter as a network stress testing strategy in protecting a website against this. One of the pecks of cloud solution is that most cloud solution providers offer protection against link spamming bots. In his testimony about the positive impact cloud-based hosting on their business, Craig Layton of Kobalt Consulting mentioned that cloud based hosting is both efficient and economical because it allows them to share resources needed to meet the rapidly increasing technology needs of their firm. There are many other benefits that come with cloud based hosting. For instance, according to Nirmal Gyanwali, the founder of a web design agency in Sydney, reliability, utility styles costing, and faster response to problems are the main reasons he will continue to stick with cloud based hosting. This is because cloud service providers are usually big enough to have the staff and tools necessary to get a website up and running as quickly as possible. Cloud services has significantly altered the way companies conduct business online. And with its increased popularity and rate of usage, it signifies that it is here to stay. Businesses should always be seeking for ways to stand out and increase their SEO ranking. Although, quite a number of ways exist to make this a reality, switching to cloud services is a proven method. If you have any experience with cloud based hosting services, please share them in the comments!